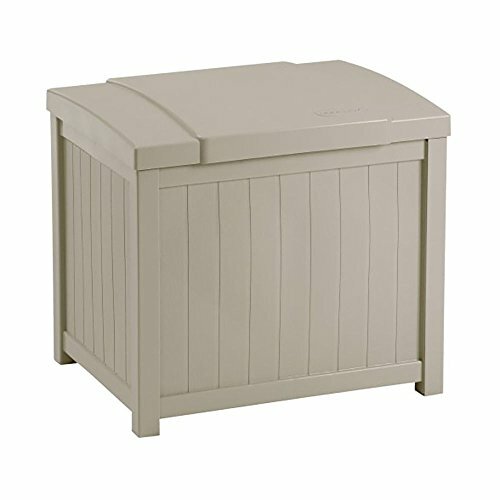 Your yard, garden, and pool supplies deserve to be stored away in style in this 22 Gallon Resin Deck Box. This light taupe deck box holds your indoor or outdoor goodies perfectly and looks good doing it. It is constructed of durable resin and features a stay dry design. The stay dry design sticks to its words and surely won't leave you with damp supplies no matter what the weather decides to do. Storage has never looked this good when you place this 22 Gallon Resin Deck Box in or outside of your home. If you have any questions about this product by oldzon, contact us by completing and submitting the form below. If you are looking for a specif part number, please include it with your message.